If you are trying to determine when you ovulate, your cervical position (CP) will give you a good indication. 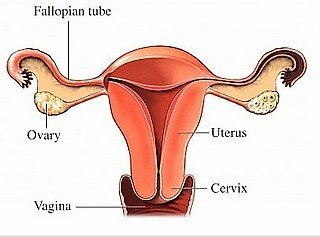 The position of your cervix, along with the texture, changes throughout your ovulation menstrual cycle. To observe these changes you need to check your cervix once a day, preferably at the same time each day. So pick a time that is most convenient to you. I usually check my CP just before I take a shower. For obvious reasons, you'll probably want to wait until your menstrual flow is over. Start the next day and continue until ovulation is confirmed by other signs such as your basal body temperature (BBT), which will have a rise at ovulation. And/or your cervical mucus, which will be thin, watery or like eggwhite before and during ovulation and then dry or thick after you ovulate. It does take some practice to get the feel of it and what the different positions and textures mean for you. In other words, it may take some time to realize what is low for you and what is high. Basically, just after menses, your cervix sits low. You should be able to reach it easily with your fingers. The texture feels firm. This is comparable to the way the end of your nose feels. The cervical opening will be closed. As ovulation nears, the higher your CP will shift. So at ovulation, it is at its highest position. It should now be much harder to reach with your fingers. The texture is soft, very sponge-like. And the cervix should feel open. Note: For women who have had a previous birth, it may always seem to be open. After ovulation, the cervical position will again become low and firm and the opening closed. For some women, it is difficult to reach and experimenting with different positions are necessary. For example, I usually squat to the floor and reach in with my two longest fingers. That's what works for me. Some like to lie on there back and draw their knees up and then insert their fingers. Maybe try standing and putting one foot up on a chair or the toilet. Just keep trying, you'll find it.